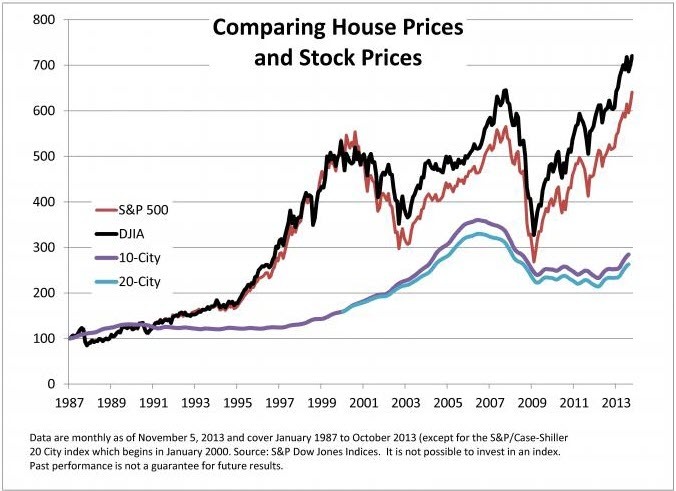 What is a better investment, buying real estate or investing in stocks? I grew up in a family and culture where getting a house is the best thing you can do for yourself. I used to think that to until recently. I decided to crunch the numbers on this and share with you what I learned. I live in NY so I will be using NY real estate numbers. I used calculators from mortgagecalculator.org and bankrate.com (which I think are the best ones out there). Lets start with the house. Remember this is just straight cost of the house with no maintenance, repairs, etc. Now you fully own your house and it just kept up with inflation or maybe not. You have to ask yourself house worth $906k after all of this time? Depends on the housing market at that time. Now lets take a look at putting your money in the S&P 500 index fund. I will be using the same numbers. Now lets say that you start with $100,000 and put in only $600 a month. If you think 11% is too high I have showed you other %’s as well. At 5%: you will have: $699,452. This is how much cash you will have that is liquid at your disposal. There is a big difference here of about 400k and that is just stopping at 25 yrs. If you let your investment grow and live after 25 yrs without putting a dime into it it will skyrocket. If you left it in for just another 5 years your total in the index fund will be $2,255,139. I highly doubt the house will be worth that much. That said, I do think buying a house at the right price is great since its yours forever and you can leverage it as well for a loan, etc. But as an investment it does not compare to the value of stocks at all. If you want to invest in real estate without being a landlord because you think its better than stocks you can just invest in a REIT index fund. Remember, all these numbers are just math not an opinion!